This final instalment has been delayed due to Carina's grandmother becoming ill some weeks ago. She is now much better and Mr and Mrs Burn, with whom I have closely collaborated in all these articles, have approved and contributed to this final part of the story. The reaction of the Social Service Department to the exposure of the allegations against the Mrs and Mr Burn as complete fantasy is extremely disturbing. Why did they have to still fight to keep their daughter after cleared of any wrongdoing? How many other vulnerable adults have been less fortunate and are still wrongly held against their will in similar situations? This is the last part of the story of how a vulnerable young woman was wrongly taken into care after false allegations by “carers” provided by her local authority. Carina’s parents were accused of sexually abusing their daughter .No evidence was ever found that they did except for statements from those employed by the Council to take the 19 year old to activities. They had known her for only 3 weeks. As she cannot talk, these carers pretended that she could communicate with them via a letter board. using Facilitated Communication, a process easily faked and not acceptable as evidence in UK law. When eventually the quality of this communication was tested by an expert, no communication could be shown, Carina did communicated in the manner of a young child with the professor when properly assessed, and communicated she just wanted to go home. The last chapter in Carina Burn’s story of being abducted by local social services is one which is disturbing even though she herself was eventually taken back by her family. The news of the results of the tests was not welcomed. The professor was asked to reconsider her assessment and rewrite the report. The motivation seemed to be to protect County Council Employees rather than swiftly return the young woman to her parents. After Professor Howlin declined to change her mind and alter the report, she was invited to Carmarthen to explain her findings to the council officers in person. Even after this visit when the professor was cross examined as to her findings and explained what had happened, no action was initiated to return Carina to her parents. Looking at the professor's scale of fees the cost of the visit is likely to have been at least £1000 plus travel and accommodation expenses. The emotional cost to Carina's parents and herself of delaying the return was devastating. Mr and Mrs Burn knew there was proof that they were totally innocent but were still not allowed access to their daughter with all the emotional damage that caused .More seriously, Carina herself was still confined against her will and severely distressed. She had no idea why she had been taken away, or where her parents were. After almost 6 months of this stress her health was deteriorating. Cruelly, her parents were told that they could not visit as she had, via the carers, refused to give consent to allow them to visit. At this point all parties knew that there was an expert opinion confirming no communication between Carina and her “carers”. Furthermore, Carina had been assessed by Professor Howlin as having severe learning difficulties and therefore lacking legal capacity. 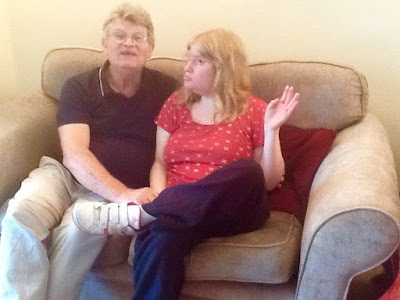 It appeared that the local council were going ahead with placing her with foster carers even though the Authority, and presumably the new foster carers, had no means of communicating with Carina. With her mother she can communicate not only simple words and phrases but more importantly her basic needs such as hunger, thirst and needing the toilet .All were now aware that she had been falsely imprisoned and treated dreadfully. A sustained cover up was clearly on the cards and her continued stay at the care home was doubly dangerous. Not only was her “care” poor and resulting in unnecessary physical and mental stress, but if she was now reclassified as without capacity, it could be argued by the social work department that she was not in a position to decide where she should live. They could quite legally move her to the foster home as planned and significantly delay her return to her parents, perhaps stop it all together as the Council could afford the very best of legal representation and her family could not. There was one short window of opportunity to take her back. If a parental visit could be arranged at this time, while the Authority still maintained that Carina had legal capacity, if it could be witnessed and she was able to communicate with her mother [the only person who could communicate with her using FC],that she wanted to go home, there was nothing in law at that point to stop her going home with her mother. After repeated requests, Carmarthenshire County Council Social Services allowed a visit by her mother to be supervised at Burry Port Harbour. It was said that Carina staunchly refused to see her father. Carina had, of course, not actually communicated at all. The 2 carers and the social worker who claimed they were able to do so, had demonstrated with the professor that they could not. I myself and Councillor Malcolm Davies agreed to witness the meeting. The date was April 1st 2011. Here is Julia Burn's personal account of what happened next. Carina arrived accompanied by a social worker, Bethan Williams and a young man Julia did not know. Bethan, herself had claimed she could communicate with Carina using FC but had not been able to demonstrate this when Carina was tested by the professor. "I arrived at the harbour and went into the cafe to secure a table near the door for a cup of tea to calm my nerves, knowing that if this didn't work, I would probably never see my daughter again. It was supposed to be for a short walk with Carina around the harbour and into the Yacht Club for a meeting with Bethan Williams and her minder so I had to get Carina into the Cafe instead. When I met Carina I hugged, her and then suggested that she needed to go to the toilet urgently and that the Yacht Club was closed so perhaps the cafe would be the best place to go. After taking her to the toilet, every move being watched and having to leave the door open, I bought her a cup of tea and sat at the table .I then asked her if she had anything she wanted to tell me, and, using the word board she spelt out "Take me home now". At that time I motioned to Councillor Sian Caiach and asked Carina to repeat what she had just communicated which she did. So I stood up, told Bethan Williams that Carina wanted to go home, so we were going home,and promptly left with her following me. I opened the car door, she got in immediately and we went home. Finally she was back where she should always have been- with Mum and Dad"
After this the local Authority acted with extreme hostility. They called the police who were not interested as Carina was 19 and according to CCC had capacity to make her own decisions. I advised her parents not to open the door to my own social services department - I didn't trust them. The cover up was going to be far more important that the well being of their client. They were allowed to see Carina through the living room window. I visited the family immediately after Carina's return and subsequently and would have happily given evidence of what I saw in their home - a traumatised young woman being supported by her loving parents. Here is Julia's account of this harassment. "This should have been the end of the story but no, the Authority sent social workers around banging on the door demanding to see Carina to check that she was safe - some were built like bricks and there was no way we going to open the door to them.We were hassled for some days before they eventually gave up on that course of action , only to be followed by demands for meetings to arrange services for Carina and an assessment - they actually expected us to put her back into the care of Perthyn (the company who had caused us all this trouble and misery) so we engaged a solicitor to act on our behalf. We chose Sinclair Law and Caroline Goodall accompanied Robin to represent us at meetings and we had no wish to ever see or speak to any of these social workers again but after paying out thousands of pounds she let us down and sided with the Authority, querying that Carina may have adult capacity when Professor Howlin , the expert, had repeatedly told Carmarthenshire County Council that Carina did not have capacity. She then refused to act for us in the Court of Protection. It was important for us to become legal Deputies for Carina as an extra safeguard against Carmarthenshire so we became litigants in person and with the help of the internet Robin managed to prepare the required documents and fill in the masses of paperwork required. I, of course, could not help too much as Carina needed my full time attention, love and care as she was suffering profusely from this whole travesty and required constant confirmation that this was not her fault. We won deputy ship for her monies and financial affairs but had to agree to a home assessment. We had asked for a private independent assessment as we did not trust any of the Authority's social workers, and this was agreed. The Assessment confirmed that our home and standard of care was excellent. Carina at last had the Protection of the Court against the Authority. The Ombusdman stated the this business "was flawed from the outset" and the private report into our complaint against Carmarthenshire County Council found their procedures to be lacking. To this day there has never been an Independent Safeguarding Investigation into the actions of Carmarthenshire County Council and the police and no confirmation that the Perthyn carers responsible [for the false allegations], Nicola Evans and Stacey Duggan have ever been brought to task. Nor have C.C.C.Social care employees Bethan Williams,Anthony Maynard,Gareth John, Jonathan Hughes, Bruce Mclernon and other officers and social workers who have now abandoned ship and run away to other areas where they can wreak havoc!" This demonstrates amongst the many criticisms of CCC policy that it is in latter day parlance " NOT FIT FOR PURPOSE " Further an enquiry into the whole operation is urgently needed. Please research Brian Gerrish as this is not an isolated incident, it is happening all around the Country. Closed courts ensure that negative exposure of Councils and Social Workers does not happen and parents are excluded from receiving outside support by the rules imposed on them. They are told if they inform the press or tell family and friends information of the case, they would violate the terms stated by the Court and would lose all rights to their child or children. Everyone should look into Law changes and Acts which allows Councils and Social Workers to be able to do this to families and get away with this unimaginable cruelty - without being held accountable. We are now in a situation whereby parents who have never caused any harm to their children have their children taken because a Social Worker has decided that the parents are a high risk of harming their children in the future (the important fact here is that they are losing their children under the guise of a possible future crime), the reasons placed for concluding this "future crime" is because the parents might have a low IQ or they could be at the other end of the scale and have decided to home school their children (this applies to Scotland atm). The parents are not judged on the way they love and protect their children, it's based on the conclusion summed up by a points based questionaire which is standardised and does not allow for individual assessment. Every parent should be asserting their rights collectively and informing others about the laws being passed which eradicates parental rights and responsibility. It will be too late when The State has more rights than the parents themselves. Julia and Robin are fantastic parents and the fact this has happened to them, means this could happen to each and every one of us.